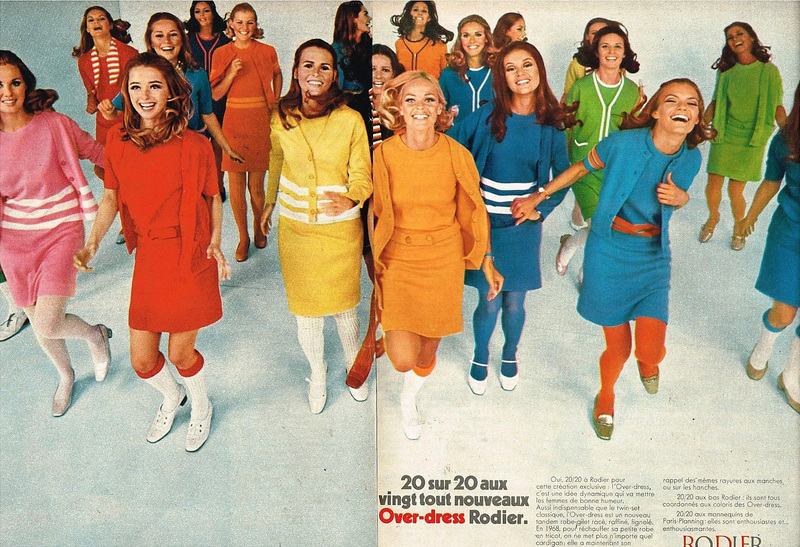 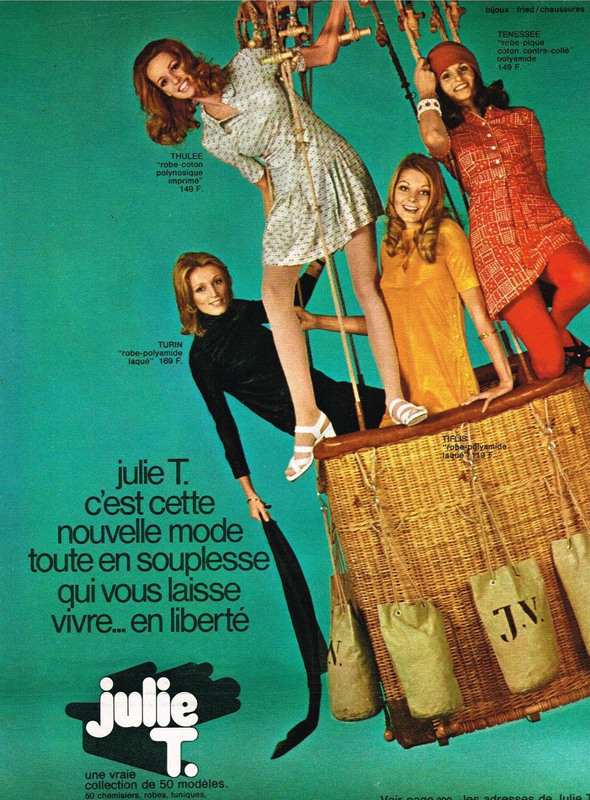 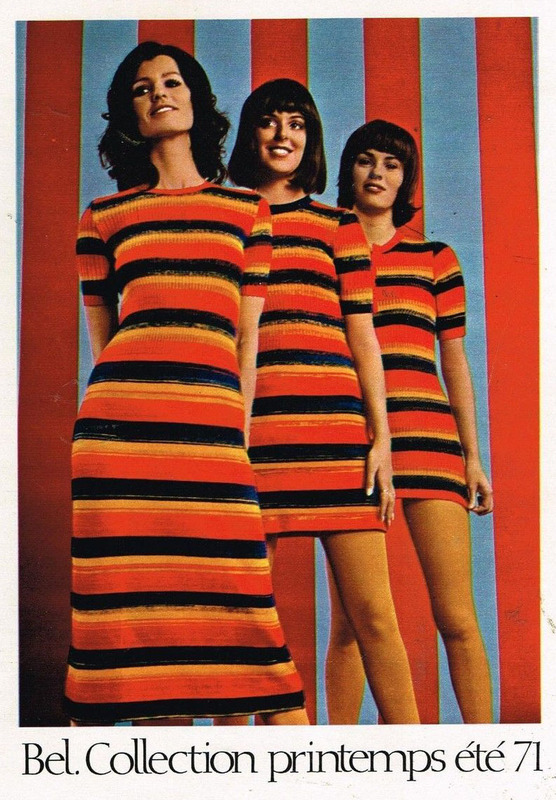 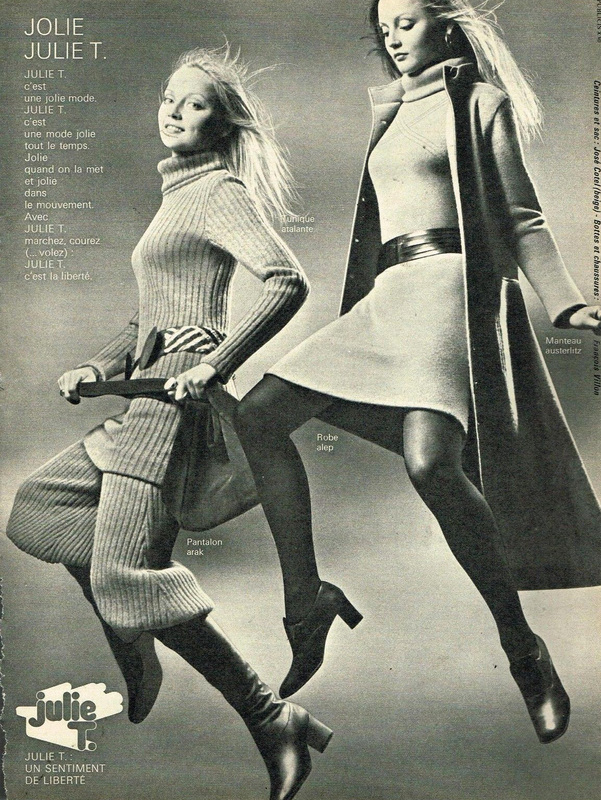 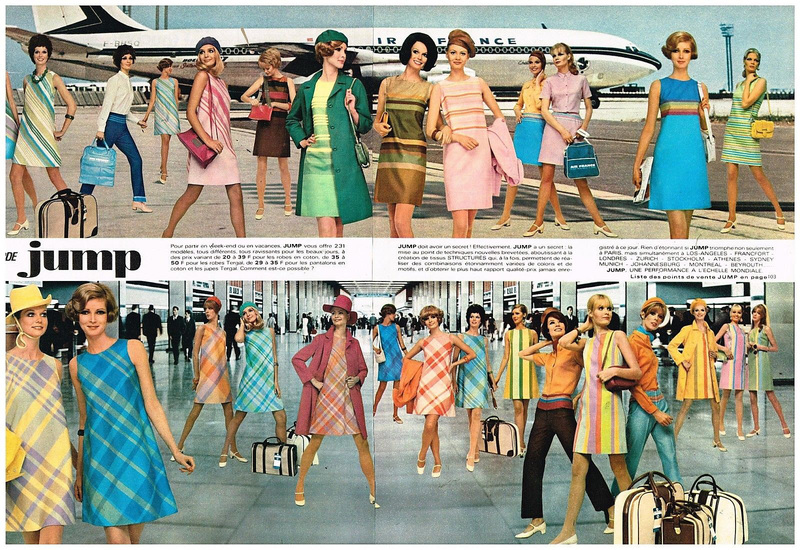 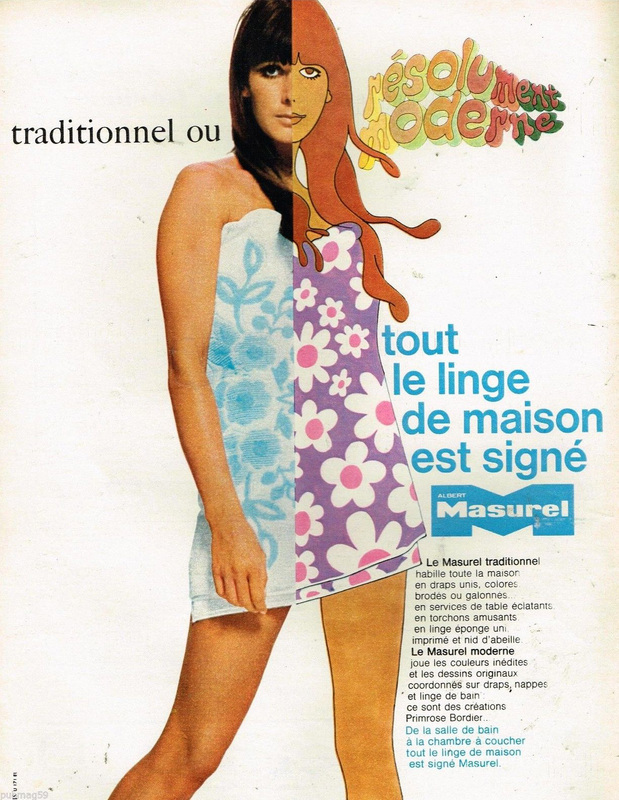 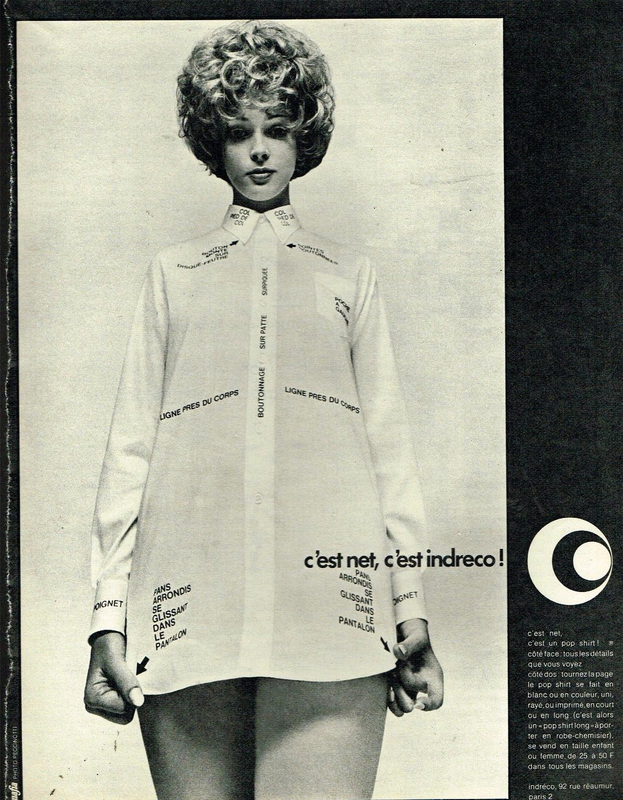 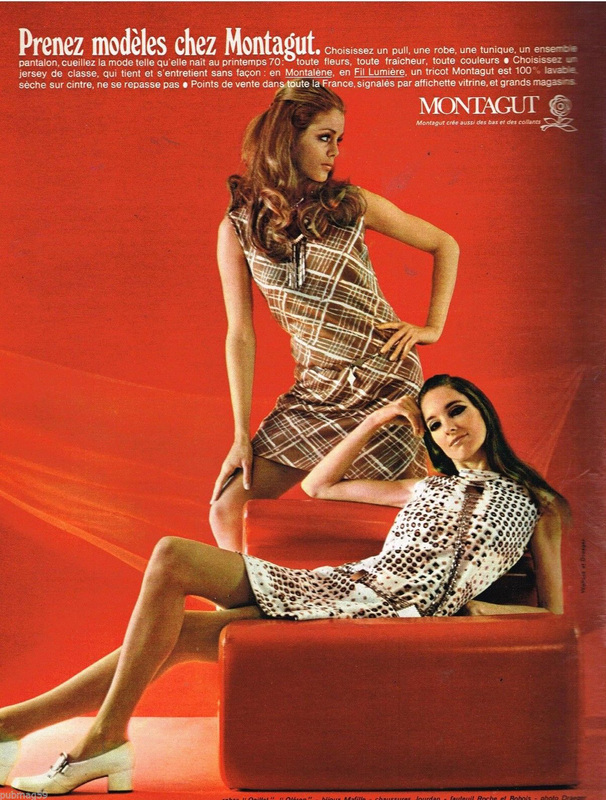 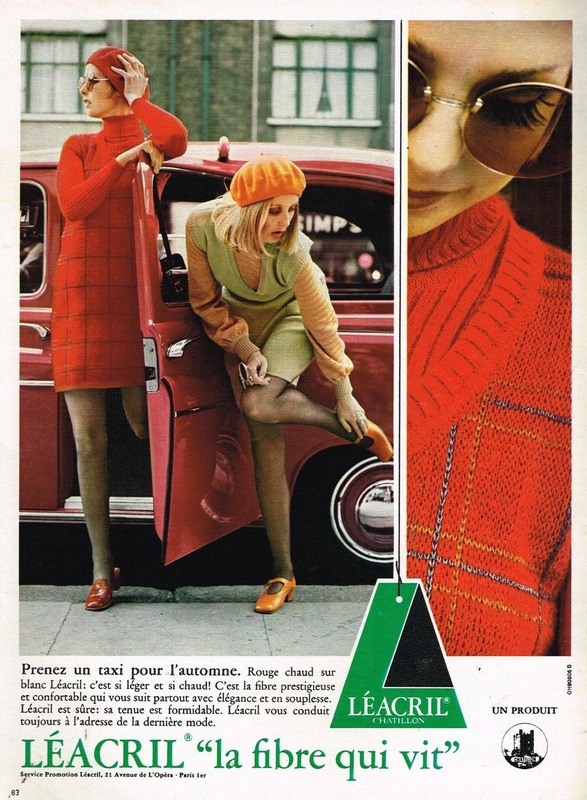 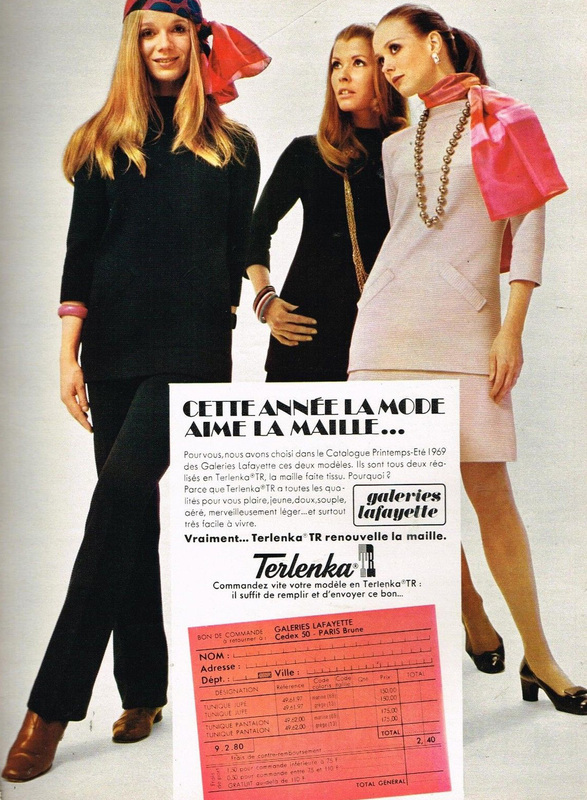 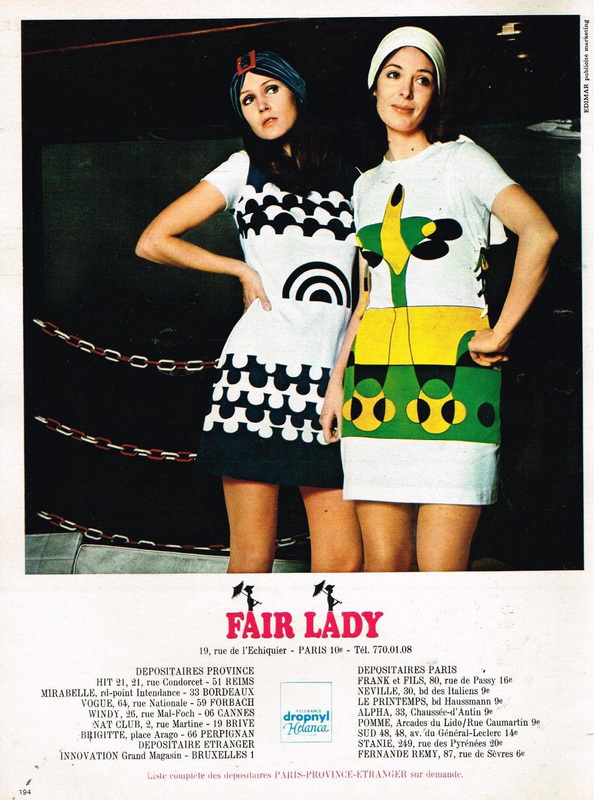 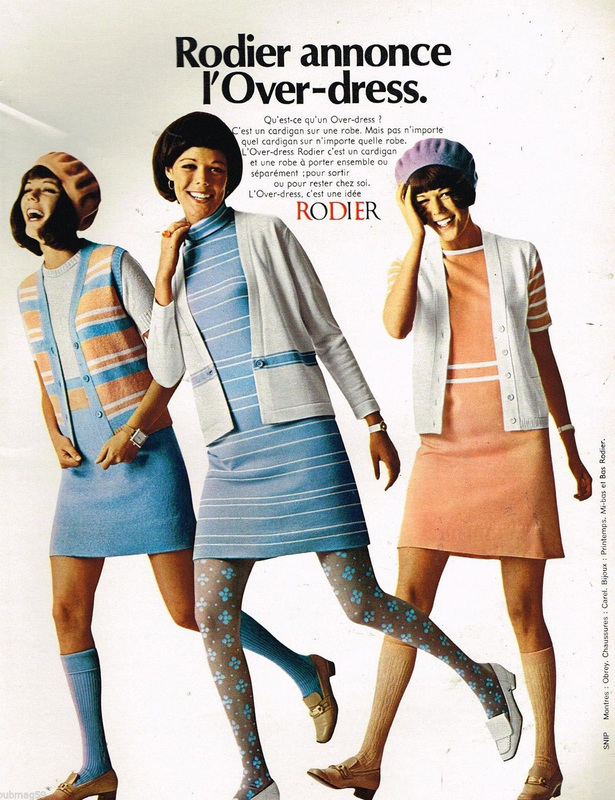 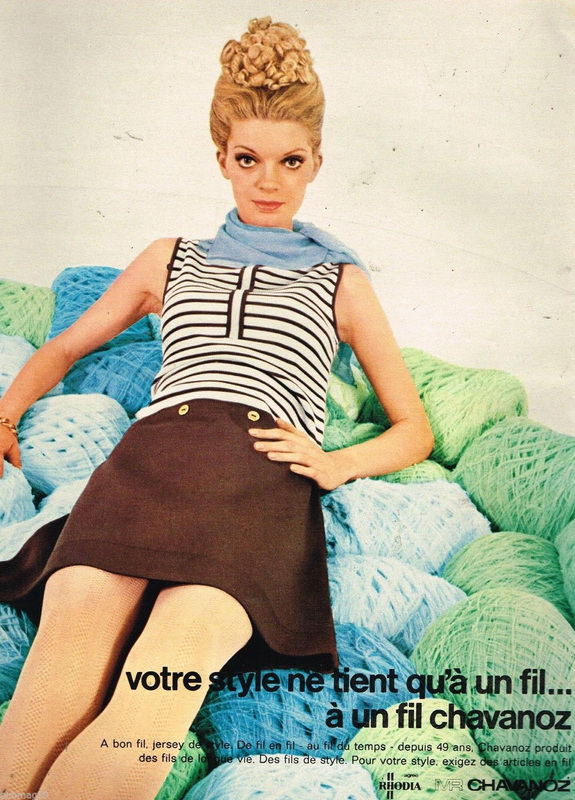 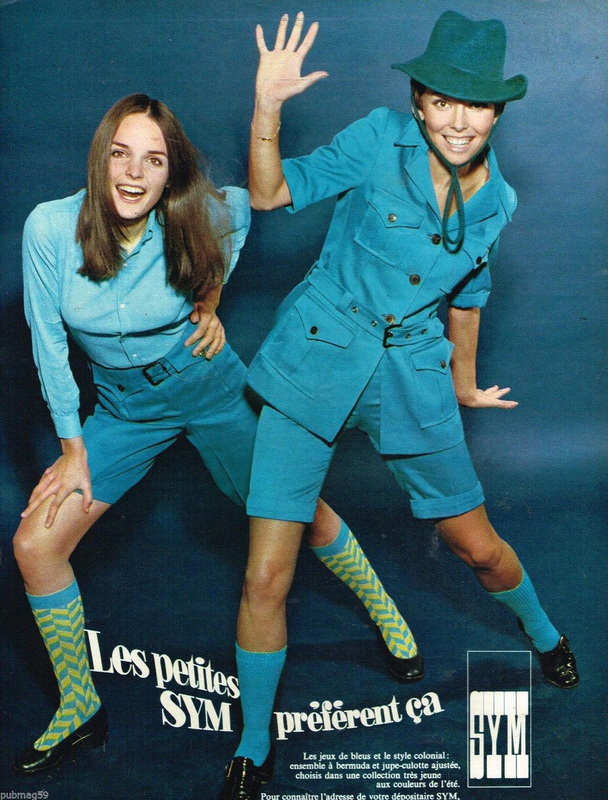 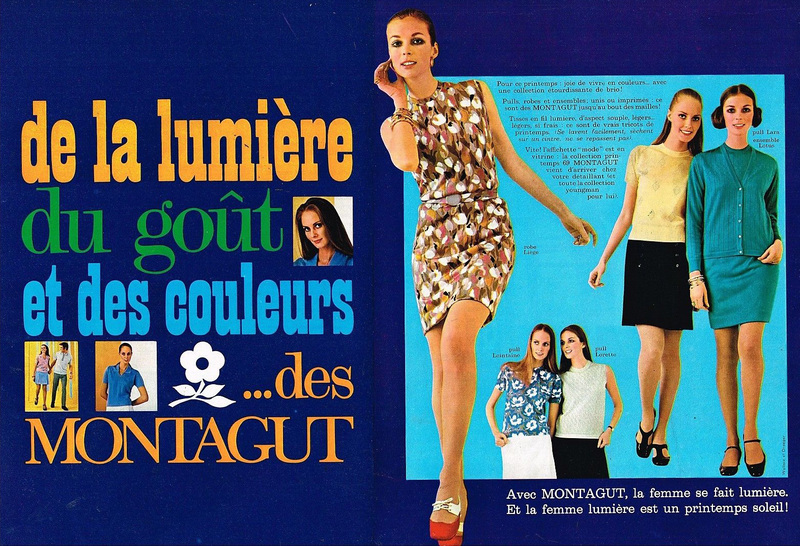 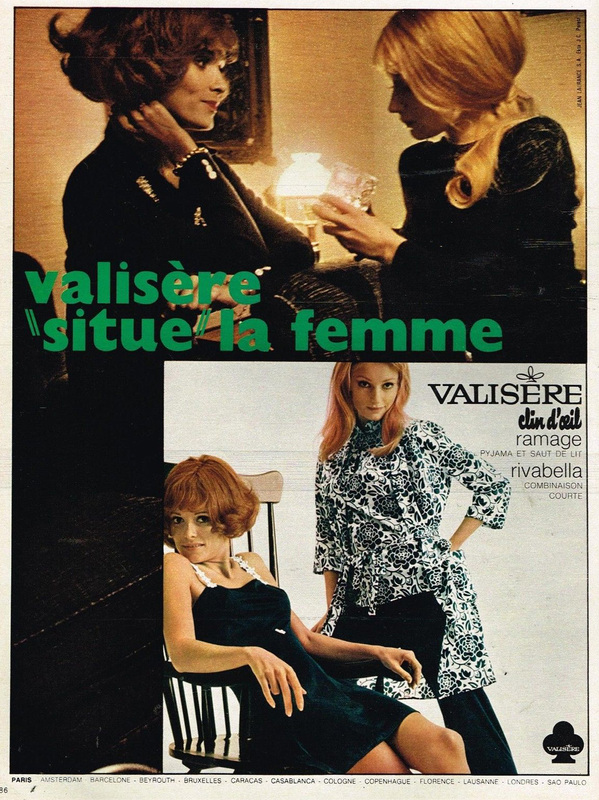 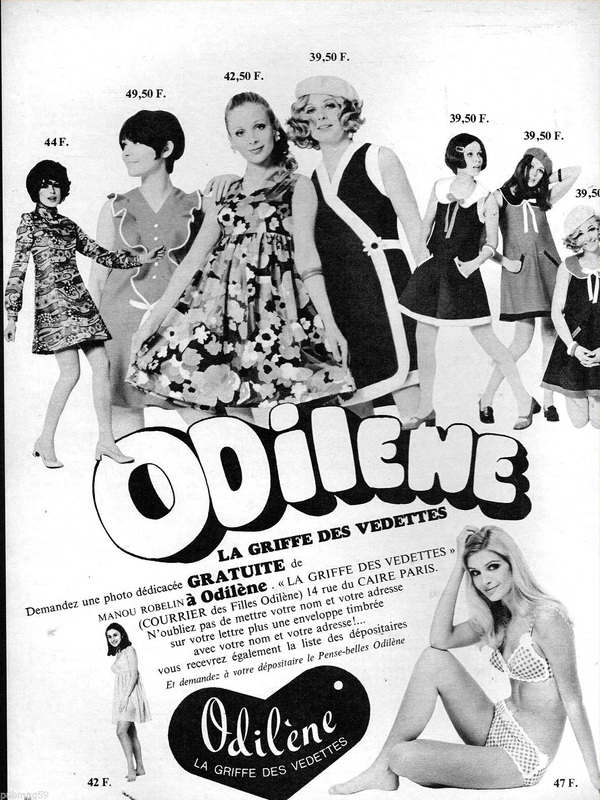 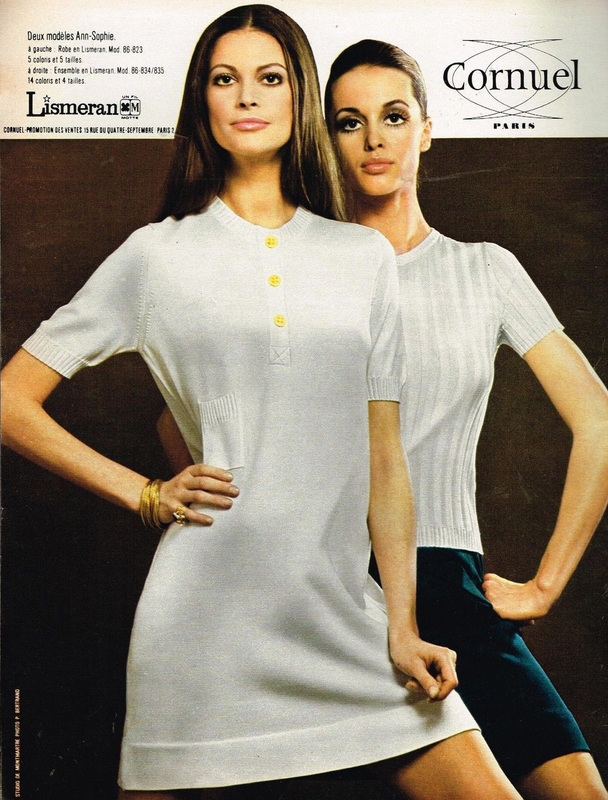 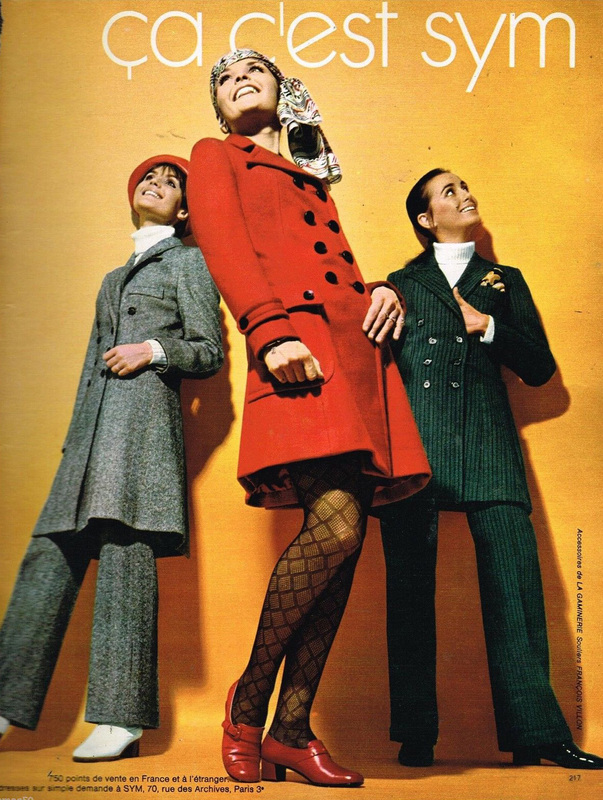 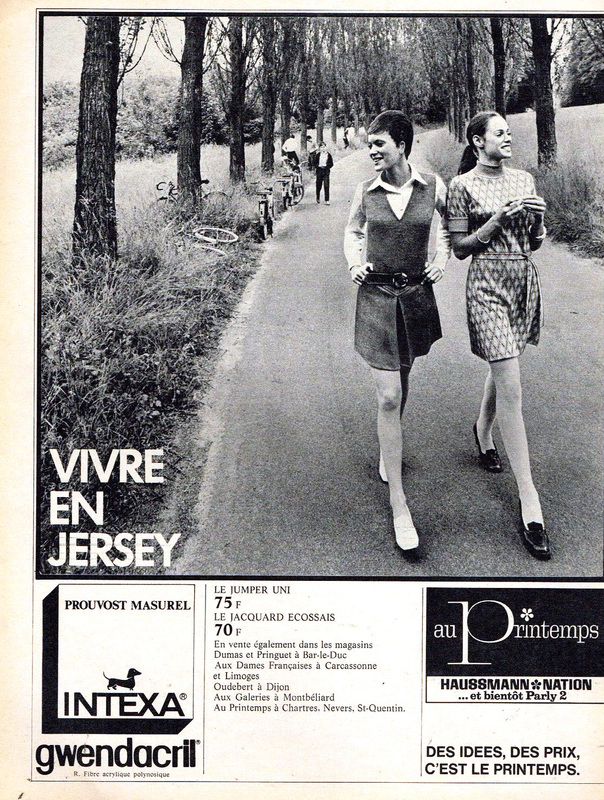 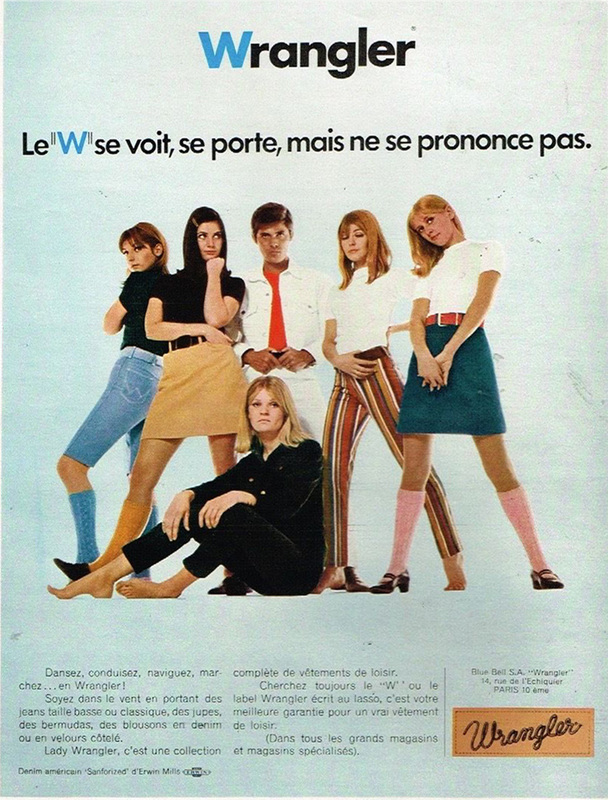 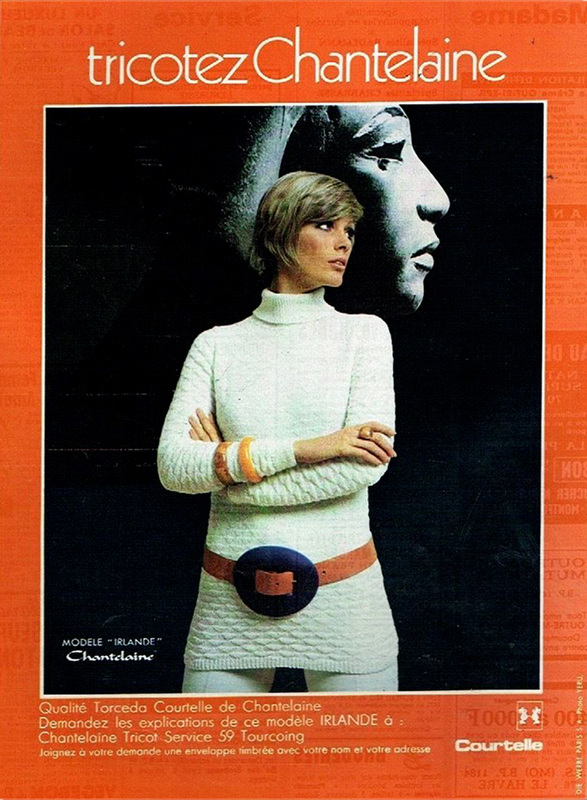 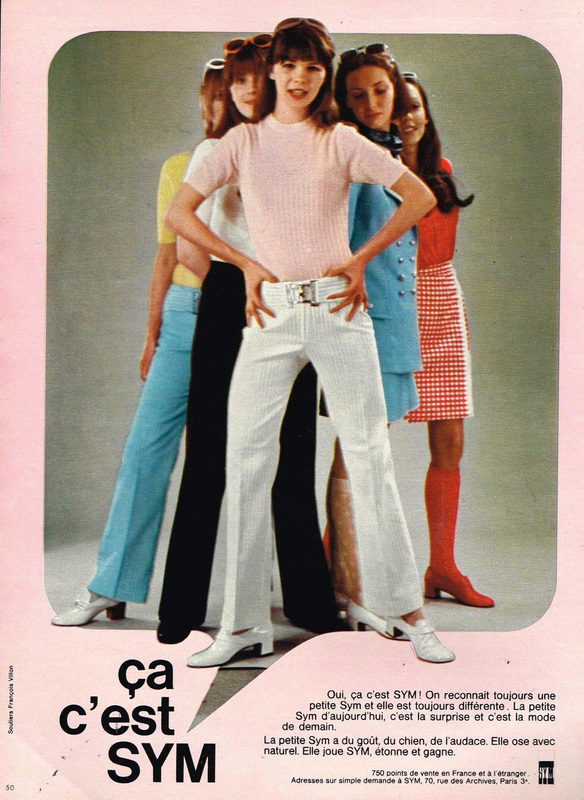 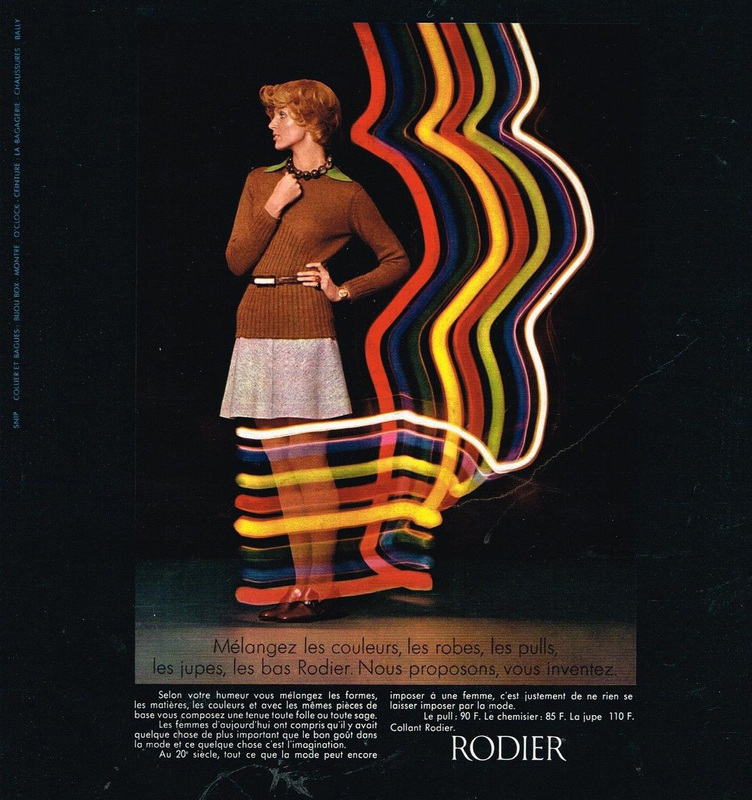 French fashion advertising for women in the late sixties/early seventies is nothing short of dynamite. 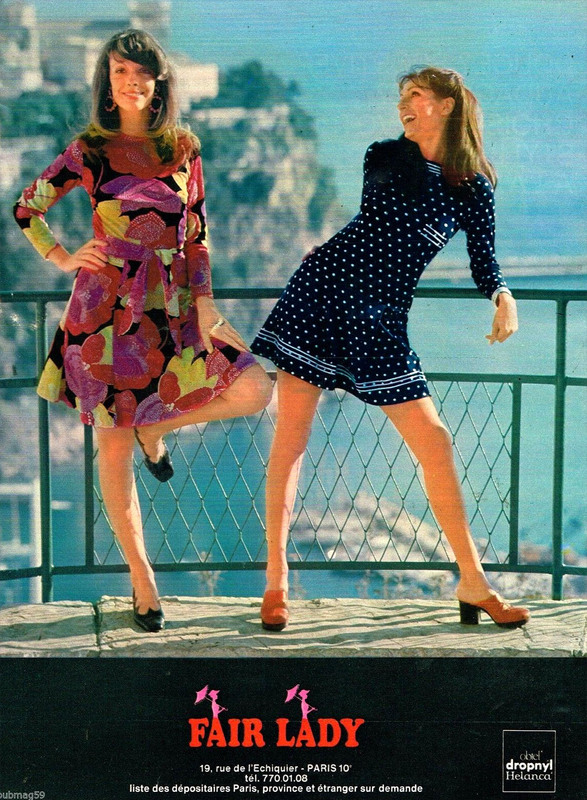 Mod fashions transition to 70s chic in an explosion of color, bold styles and high hemlines – all modeled by those swinging mademoiselles. 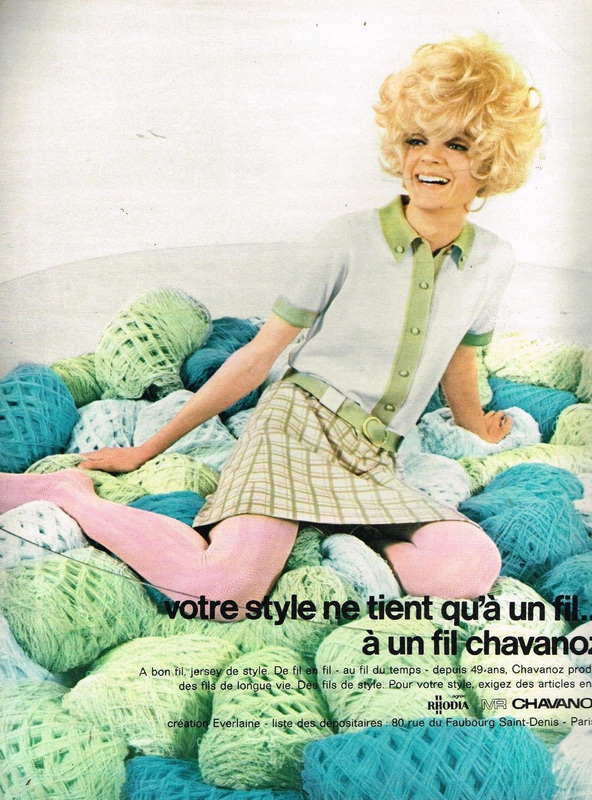 Let’s have a peek at some of the grooviest fashion ads you’re likely ever to see. 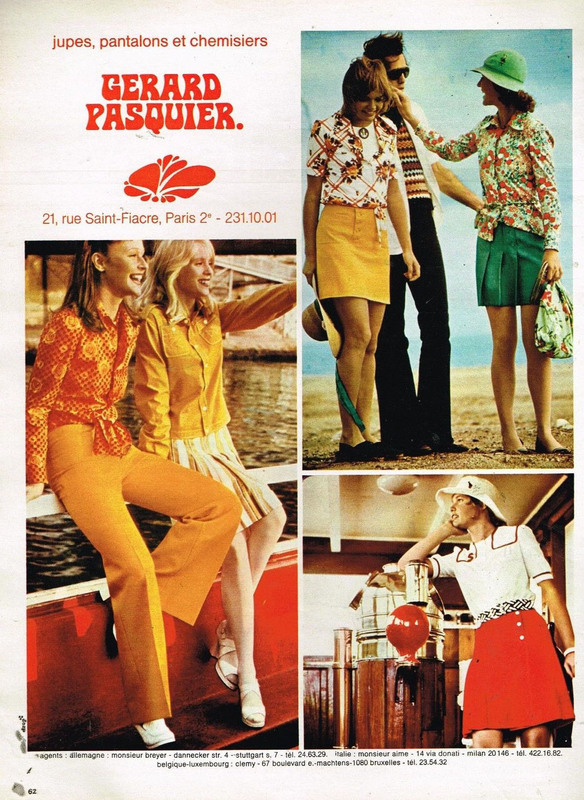 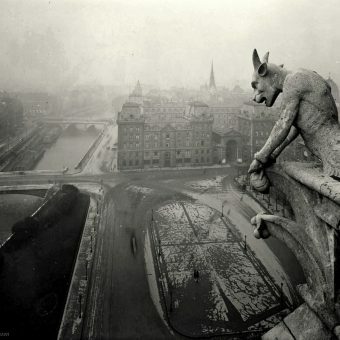 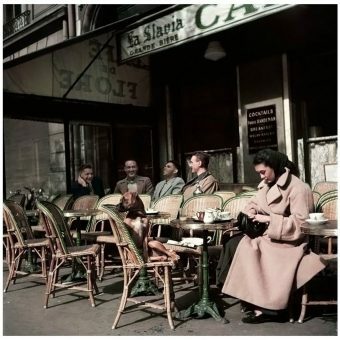 Prendre plaisir!